He is initially set on the trail of a brutal killer who burnt his first victim alive. But Danny soon begins to realise that much more lies behind the killer’s actions than the work of a madman. As Danny digs deeper he unsettles a number of powerful people who would much rather see him dead than let the public know the devastating truth of what’s happening in the urbanisation of Bellavista. Can Danny expose the crimes of the past? Will anyone believe his shocking discovery? Or will he be silenced forever in his quest for the truth…? 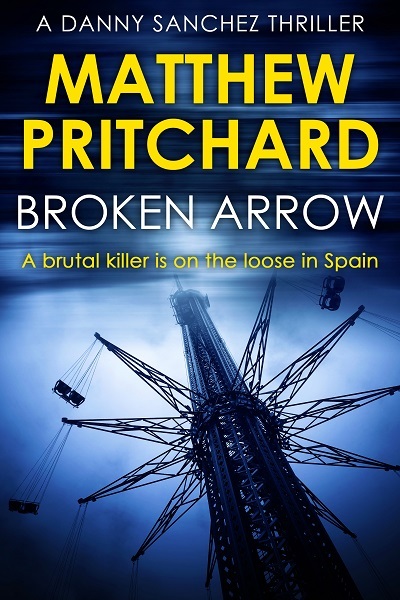 Broken Arrow is the third book in the Danny Sanchez Thriller series by Matthew Pritchard.